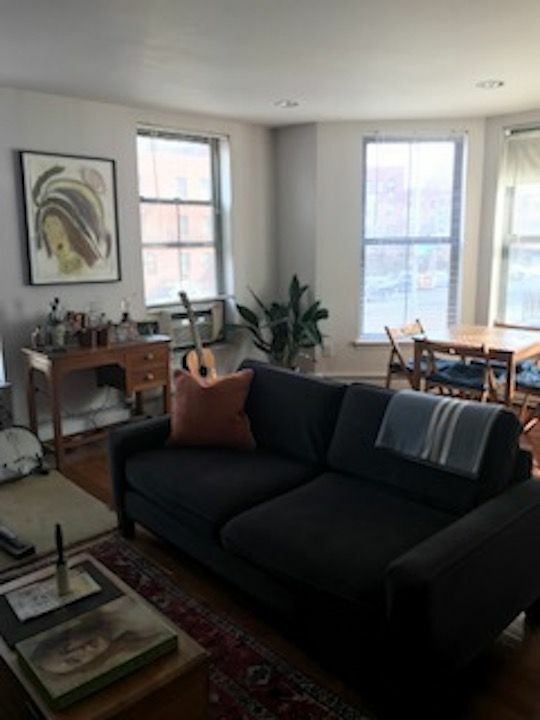 Gorgeous Fort Greene 2 Bedroom with walk-in closet. Unit features a galley kitchen with stainless steel appliances, dishwasher, and microwave. Enjoy the large living room with a fabulous dining cove. 2 equal size Bedrooms make this unit easy to share. Steps from subway lines at Atlantic Ave, A and C line, right across the street. Close to Barclays Arena, Bam, trendy Restaurants, Fort Greene Park, Small pet upon approval. 2 Person Max. Available April 1st.